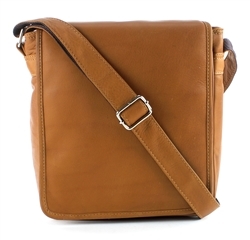 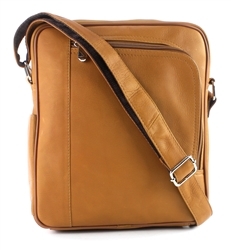 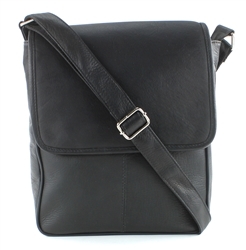 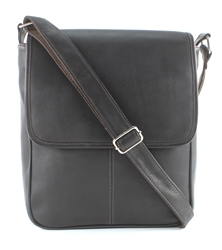 Sleek Flap over messenger bag made of Vaquetta Leather. 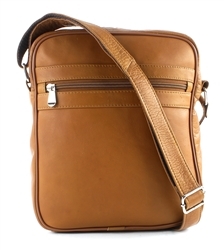 Two zipper pockets under the Flap. 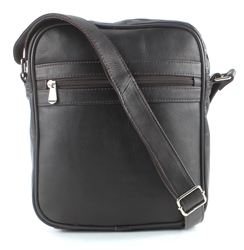 Interior has zipper closure on the main compartment. 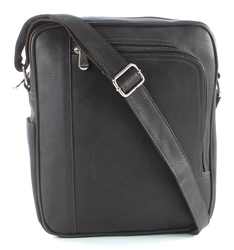 Padded compartment for tablet or small laptop. 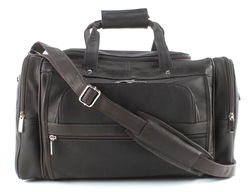 Multiple compartment duffle bag. 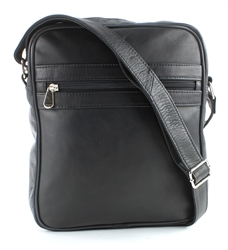 Main compartment opens with a 3/4 zipper pocket for easy access. 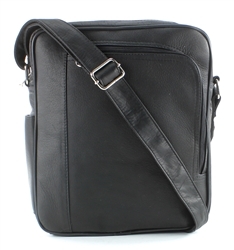 Zipper pockets on both sides of the bag for additional storage. 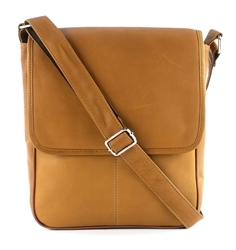 The bag also has two front pockets. 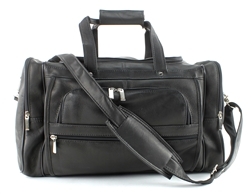 The back of the bag has a pass thru pocket to securely store the duffle on the top of your roller bag.